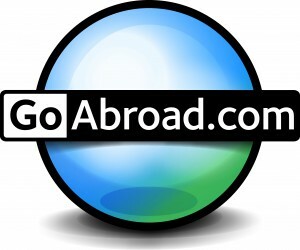 Did you enjoy last month’s guest post from GoAbroad.com on student visas? If so, then you will enjoy this blog as part of a larger series on helpful tips for study abroad students. Money, or a lack of money, is the main culprit preventing students from studying abroad. You’re a poor college student, we get that, but there are ways to make spending a semester or two abroad possible. One of the best ways to fund your study abroad trip is through the help of a scholarship, stipend or grant. As soon as you decide where you are studying abroad, begin looking for scholarships you can apply to. Ask the study abroad adviser at your university what opportunities are available to help fund your trip. Once you’re accepted into your program, start applying! The more scholarships you apply for, the more you are likely to receive. Writing a few essays in exchange for $1,000 is definitely worth it. Do you have a birthday coming up? Or maybe a gift-bearing holiday is right around the corner. Instead of asking for the latest iPod or the complete DVD set of your favorite television series, ask friends and family for money to put toward your trip abroad. Luggage necessities, clothes to help you fit in with locals, and money toward your plane ticket are all items you can ask for to save some cash. If you have the time, look into getting a second job (or a first). Even taking a few hours each week to tutor or babysit will add up and help lessen your study abroad expenses. If you find you are tight on time, sell your stuff. If you have items just laying around, sell them on eBay or Craigslist. You could even have a yard sale if you have the goods and the space. Tell people you’re trying to raise money to study abroad; they’ll be more likely to buy items if they know it’s for a cause. If you can’t afford to study abroad now, apply for a loan and let future-you fund your adventure. No one likes to be in debt, but most life-changing purchases require a loan. Paying for tuition, buying a car, purchasing a house: Most people take out loans to pay for these milestones. Why should studying abroad be any different? If you qualify for federal student aid, or FAFSA, this money can often be put toward studying abroad. Make sure you look into a variety of options so you can have a great experience abroad without sinking into too much debt. The best way to save money is by not spending it, duh! Think hard about your spending habits and make a list of unnecessary purchases. Cable, fast food and coffee are all items that could be cut out of your budget without changing your life too much (unless you’re a caffeine addict). Want to see how much you end up earning? Designate a jar to your study abroad trip and fill it with money every time you refrain from buying something. Rather than spending $10 on pizza, put $10 in your study abroad jar. Then watch it add up and have a blast studying abroad! What else have you done to afford studying abroad? What do you think is the best way to afford traveling? This entry was posted on Thursday, August 23rd, 2012 at 7:56 am	and is filed under Study Abroad, Study in Australia, Study in the UK. You can follow any responses to this entry through the RSS 2.0 feed. You can leave a response, or trackback from your own site. I am a undergraduate studying Arabic and International Relations at the University of Westminster. Our University allows students to study a year in an Arab country to learn the language better, I have evaluated my circumstance an find that I am unable to pay for the tuition fees of any of the universities listed by my university. I have been looking online for scholarships and cannot find any that I can apply for I would really like help to find scholarships which can aid me to study at the university of Alexandria in Egypt this academic year 2012-2013, I have fellow students which are due to start and they have offered me houses to stay in if i do plan to come and find the means. Thanks for this post.I think it is your best blog through which you will try solve the financial problem as some percentage. But also there some international funding organizations are providing funds to those students who are already Pursuing various higher courses in abroad. so one can avail this by submitting the required documents to the organization. This is exactly what I needed to read at the moment. I really like this post.